The Palazzo Rosso in St.Gallen’s Old Town has been the home of the Textile Museum and the Textile Library ever since 1886. Thousands of pattern books, designs, fashion photographs, magnificent textiles, flamboyant garments, needlework utensils and the demonstration of a hand embroidery machine take visitors into a world of imagination, creativity and technological feats. 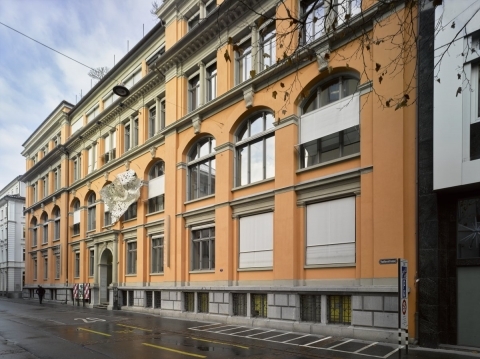 The Museum is famous for its exquisite collections of Eastern Swiss embroideries, Egyptian textiles from late antiquity, European lace, embroideries and fabrics from the Middle Ages to the present day. 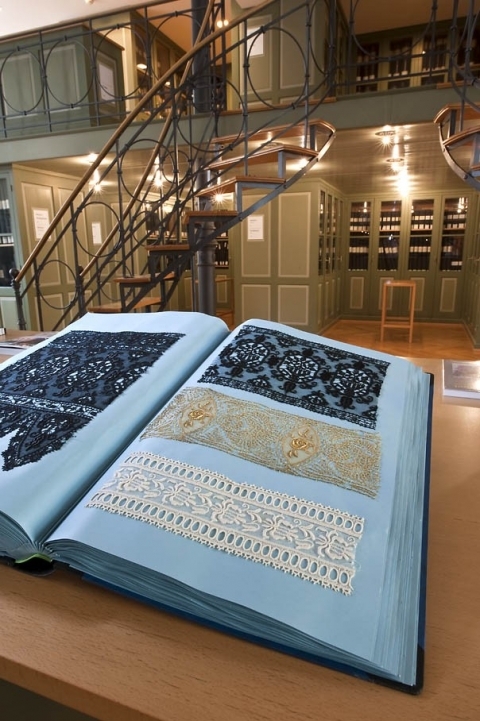 The Textile Library provides an insight into thousands of patterns created by textile designers in the last 170 years. the exhibition entitled Fabrikanten & Manipulanten is devoted to the history of Eastern Switzerland’s textile industry and its protagonists. The show is part of iigfädlet – Ostschweizer Textilgeschichte, a project run jointly by eight museums in the region.